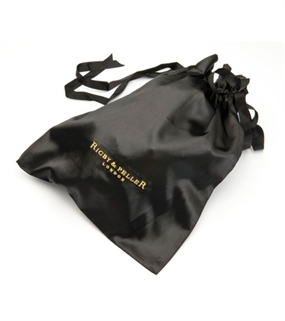 Our Rigby & Peller lingerie bag is the perfect accessory for traveling or storing your luxurious lingerie in style. The satin drawstring bag ensures your lingerie will be protected in transit as it will prevent snagging on any other piece of clothing. To match our lingerie bag we also have a satin eye mask essential for any globe setter. Ideal gifts for any occasion. "If my other half bought me this lingerie bag for Valentines I would be very impressed.I know he wouldn't be able to afford to by me the underwear to match but I love a bit of luxury and it's all about feeling a little bit posh. The bag is satin with a ribbon drawstring and it feels so soft - definitely not one for putting your granny knickers in! I'll be putting my posh undies in there - maybe to keep them safe until Valentines. ; ) I think it's a lovely gift." An incredibly simple to use high definition pocket camcorder with a signature flip-out USB arm and award-winning built-in software, Flip lets you shoot unforgettable moments in great quality, quickly and easily create videos on a computer and share with your loved ones online. Being pocket sized and allowing you to capture up to two hours of footage, it's the perfect gadget to capture romantic moments for years to come. The latest range of Flips were launched in November and are priced from £149.99. "This is so easy to use and would make a great gift for any occasion. Just press the red button to record and away you go. All the software is pre-loaded so you just use the USB to connect it directly to your laptop and from there you can take photo stills from your videos - great if you've got kids that wont stay still - just film them and select the pic you want later on! All of our films were great quality and the only downside was that there was no flash for night use. 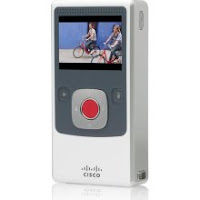 If you're buying this as a Valentines gift why not pre-record a video message on to it telling them how much you love them. Very romantic! Would definitely recommend." "We haven't laughed so much in ages. The questions were brilliant and really put us to the test. I won - naturally but we argued because Chris was convinced I was lying with my answers so that I could win! A night of giggles. We've let mum and dad borrow it so I expect to see my Dad with a black eye at the weekend for not knowing what my Mum's favourite food is! You have to get this - but it will make your cheeks hurt from all the laughing." Give the person you love something truly unique this Valentine's Day with this personalised Love Is... book. 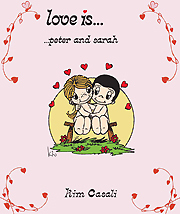 24 specially selected illustrations from the celebrated original artworks of Kim Casali have been brought together to capture loving sentiments. As well as your names on the cover, there are twelve illustrations throughout the book created for you to personalise with your names and additional information such as your favourite film to watch together and favourite food. "We have already reviewed one of the children's books from It's Your Story and it was fab so I chose to review this one just for me and Chris and I was really excited about it. It was personalised to us and the things that we do and like. I wasn't sure what Chris would make of it but he actually had a little tear in his eye as he read it. It's really special and we both love it - we'll keep it forever. You have to buy one for your true love - they love you forever." 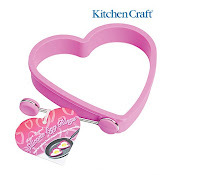 Create the perfect romantic breakfast in bed with this flexible silicone heart shaped egg ring. Heat, odour, and stain resistant with a fold up / fold down handle, and heat resistant knob to easily remove the ring once the egg is cooked. "Last year I tried to cook an egg in a heart shaped pan that cost about 50p - with little success - in fact it was so bad that we had to bin the pan! This was ingenious. On my first attempt the egg did ooze out from underneath the silicone heart but I put that down to the amount of oil in the pan. Since that first attempt I have made at least 10 perfectly heart shaped eggs. A great novelty item to make Valentines breakfast in bed a little bit special." 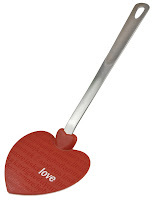 Flexible nylon heart-shaped spatula with stainless steel handle. "We tested this alongside the Heart-Shaped Silicone Ring and it was the perfect size for transporting said eggs from pan to plate. I was worried that I might not be able to use it with my non-stick pan but it's made of a special material so it won't scratch. Another lovely little idea." If you are looking for fun this Valentine’s Day, look no further than Poundland. With some naughty little gifts to get you hot under the collar, to cute and cuddly soft toys, Poundland has a great selection to make your Valentine’s Day special! "We got sent a few things to have a play with: Love Crackers - sounds rude but it's just a Christmas Cracker with a funny joke and a hat! An 'I Love You Toast' Stamp - you push it in to your bread before you put it in the toaster and it leaves your lovely message on the toast.Valentines socks - I'm wearing them as we speak! A cuddly toy - really cute and a bargain at £1 and a lovely gift bag to put all of your goodies in. Great novelty gifts, all good fun and at a bargain price - what more can you want?" The Chippendales Diva is a must have object of pleasure. Created to tease and please all the right areas externally. This intimate massager boasts eight stimulation modes in two programs, all easily adjustable for the most varied and satisfying sensations perfect for solo or partner play. It is fully lockable ensuring discretion at all times. The Chippendales Diva is currently available in two colours; black and white and is provided with a chic silk storage pouch. "When this arrived I took it in to the lounge to investigate, put the batteries in turned it on, giggled and then put it on the stairs to take up to the bedroom. Fast forward 5 hours - son comes home from school and finds it on the stairs - "Mummy, what's this? It's moving. Come and look.' Whoops!!! It's now safely hidden away in the grown ups room! So is it any good? Well this is embarrassing! I won't go in to detail but let's just say yes - it is good - it did cause giggles at first but it does what it's supposed to ; ) "